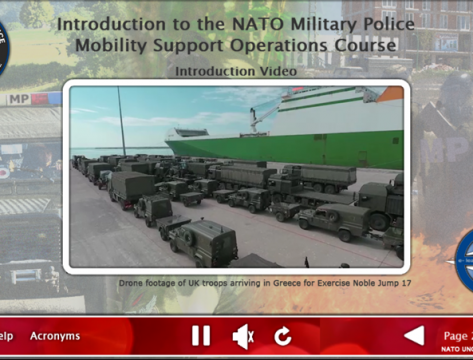 ADL 188 Introduction to the NATO Military Police Mobility Support Operations Course. 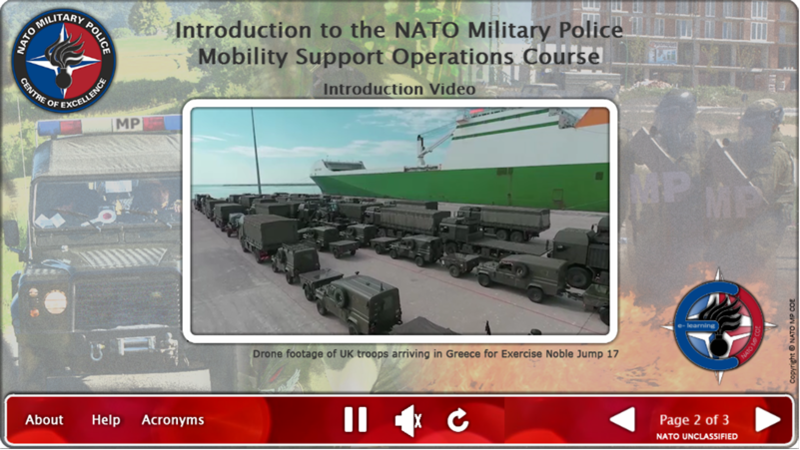 3rd Advanced Distributed Learning course – ADL 188 Introduction to the NATO Military Police Mobility Support Operations Course. The aim of this course is to enrich knowledge of the NATO Military Police role and responsibilities in Movement and Transportation planning and execution process. The course will allow NATO MP personnel involved in planning and conduct of Mobility Support Operations to better understand the MP contribution and their importance as one of crucial Force Multipliers.